Okay, it’s a quick soup, all you have to do is to boil about 3 liter chicken or veggie broth in a larger saucer pan. When it’s boiling add the ravioli and cook them until it’s almost soft. In the meanwhile dice some cheese (just for the flavor), I used home-made smoked cheese (no, I didn’t make it, we buy it from the next town, but it’s from real milk from happy cows 😀 ). 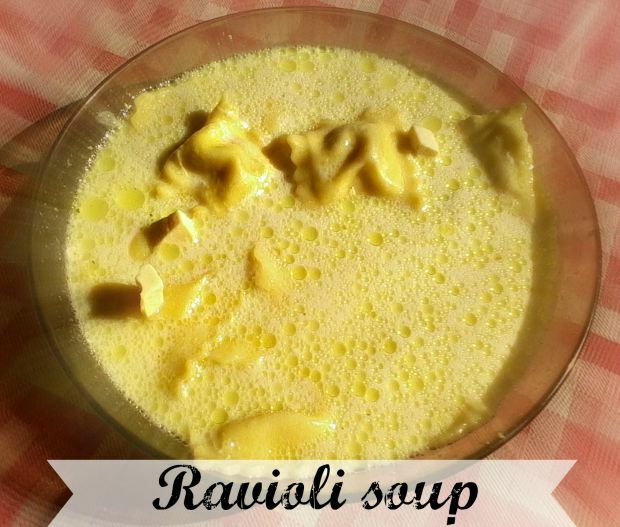 When the ravioli almost soft, pour the cooking cream and add the cheese and continue cook it on low heat for a few minutes. Serve it while it’s still warm!